Have you ever wondered why very few companies successfully complete their projects? If you look the numbers, aren’t they staggeringly disappointing? They are, for sure. Managing projects perfectly is not a cakewalk. 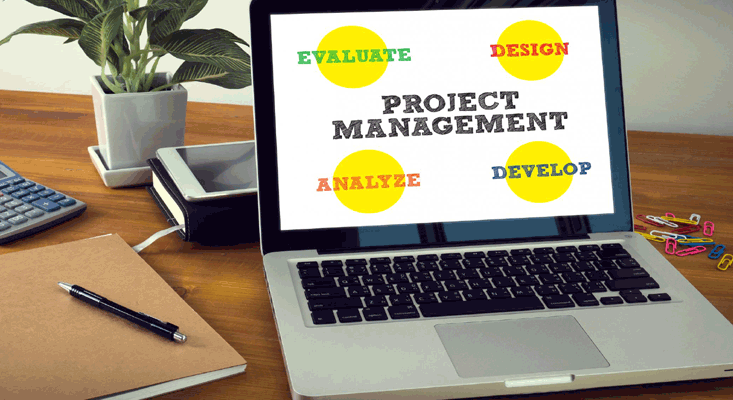 Project managers need to take care of the projects, resources, deadlines, manage the budget, ensure proper communication, foresee potential risks and what not. Every day we hear new stories, new challenges and new issues in project management. Being a project manager, have you ever wondered why only a handful of companies manage to deliver projects successfully whereas you struggle to even meet the deadlines? It is because we often forget to foresee the challenges that may hamper the growth of the project, overall. How do project managers move from a “management model” to a “leadership model” as part of an effort to better support our team members and our customers as we help them achieve their project goals. Resolution: more focus on servant leadership instead of autocratic/top down leadership. This takes training, culture enhancement, and new thinking at the senior levels of management. Resolution: more focus on servant leadership instead of autocratic/top down leadership. This takes training, culture enhancement, and new thinking at the senior levels of management. When working with teams and freelancers around the world, one of the most frustrating things to deal with is engagement and communications from those around you. Since they aren't actually in your office, it's tough to know how much work is actually getting done or when they are working. Tools like Trello can help with this management process, and allows everyone to constantly be updating each other with what updates are being made, or what needs to be completed. Skype is also a great tool for minimizing headaches as well and keeping in touch with your team. Resolution: When working with teams and freelancers around the world, one of the most frustrating things to deal with is engagement and communications from those around you. Since they aren't actually in your office, it's tough to know how much work is actually getting done or when they are working. Tools like Trello can help with this management process, and allows everyone to constantly be updating each other with what updates are being made, or what needs to be completed. Skype is also a great tool for minimizing headaches as well and keeping in touch with your team. The biggest challenge is in team building. Before starting my business, I'd see people at work who looked great on paper with exceptional experience but were not good at their jobs. They were either not trustworthy, had a bad work ethic, or just weren't efficient. In hiring, you find this too. Instead of judging people based on their experience, I judge work ethic. It's tough to gage through an interview process, so you actually need to start working with a variety of people at first by giving them small tasks to handle. As they start to prove themselves, they will get more work and in turn, make more money. Before you know it, you've found a solid team of people. While this is more time consuming as a business owner, it will help you build a team that can thrive without you. Resolution: I suggest starting slow. Instead of giving the new hire all the work you need done at once, roll it out slowly over time. As they prove themselves with small tasks, you can slowly start to give them more. When I started building a team, I made the mistake of being too trusting and assuming everyone had a good work ethic like me. By starting slow, you will avoid bigger problems. My clients bring me in to manage their transitions and transformations, either as part of an acquisition or divestiture or because they are moving to a new system for managing their people. There are always people—at every level—who will be affected by these changes, who feel threatened by them, and their concerns are always legitimate. Thus, the biggest challenge in these programs is usually organizational change management—converting people and getting them to be evangelists for the executive vision, and getting them to buy in and actively support the work to be done in order to get to the desired end state. Change is enabled by people, and people can disable a change if they decide to do so. Resolution: The most effective way to approach organizational change management is to begin early in the project. I work with the project sponsor and other key leaders to identify and assess the needs of the stakeholders, engage them, and provide enough information to help them determine what support and guidance they will need throughout the project, during the transition, and once the changes are in production. We then ensure their needs are met on a timeline that works for them. You will never get everyone to embrace a change, but getting the majority in alignment is critical to the success of any business strategy. I live in a small town in Alaska and from time to time find myself leading construction projects. Getting qualified local subcontractors to work on those projects is the first challenge and getting them to finish their work when we do find them is the biggest challenge. Most tend to milk the project and take 3 to 5 times longer than required. While we’d love to hire local the way we overcome this is to fly qualified people in who have worked with us in other locations. We need to make sure we have all the supplies and tools they need on site as it can often take a month to get supplies shipped up from the lower 48. Resolution - We bring in proven talent from similar projects in other locations rather than trying to manage the local resources who often have neither the time or the skills to get the job done. 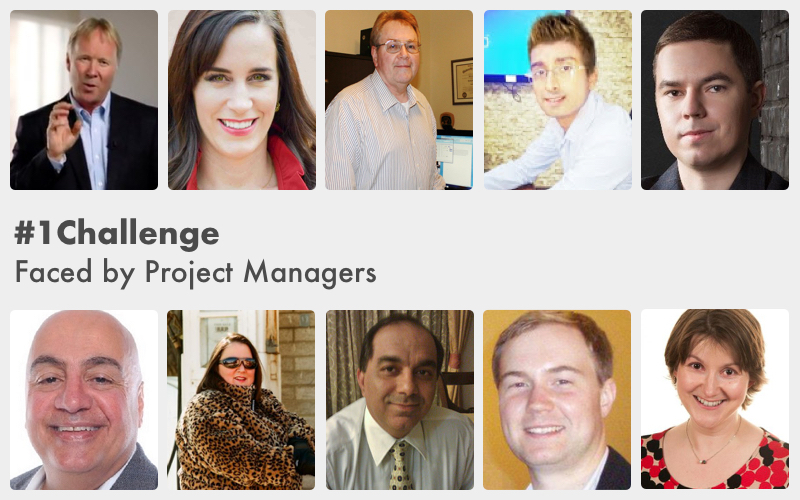 The #1 challenge that project managers face today has to be team management. That’s because team management not only focuses on monitoring the team members but way more. Understanding every team member and which activities can they perform at their full potential. Delegating tasks to every member according to their current potential. Tracking their progress at all levels. Monitoring the outcomes their efforts have resulted in. Training them in case they need to further improve while working towards a specific task. … and much more becoming a part of the team management process. If one of the above mentioned responsibilities take a back seat, there are chances that managers can easily spot delays in project deliverable. In short, this scenario may also result in project failure. And this is something that none of the project managers prefer to see happening with their projects. Resolution: Many of the above mentioned responsibilities can be managed with the integration of an online PM tool. Once you integrate the software, you’ll be able to manage your team and their ongoing activities effectively. My number one challenge is: to keep things simple. 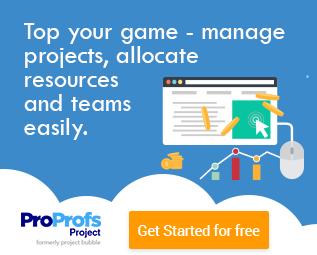 I find that people who teach Project Management like to make it more complicated than it needs to be, and PMOs and Project Managers like to create lots of proforma's,and then they keep adding sections to the proforma's, so everything proliferates. Microsoft Project also tends to add complexity, to the point where you can no longer visualize what the computer is doing when it tells you that your project is going to take longer than you expected. PRINCE2 also makes things worse, and Agile is a good response to complexity but has thrown the baby out with the bathwater. So my challenge is to cut through all of this and get a simple Gantt chart on excel that everyone has signed up to, and which everybody keeps to. I can be done, but it takes a certain amount of assertiveness, persuasion, and sticking power. Training: show people that a simple approach is enough, particularly that it's best to do a network diagram before trying to draw the Gantt chart. 20 minutes with post-it notes means that you can draw the Gantt chart in 10 minutes, as opposed to a whole hour trying to make a Gantt chart that ends up being wrong. Realising that software isn't the answer: there is no software that can call you "Hey, you've missed out a task" or "Hey, you'll never do that job in only 3 days!". Once you realise that software is only a drawing too you can think about how to draw it simply, rather than feeding everything into a computer (e.g. Microsoft Project) and getting something horrible coming out of the other end. Using multi-level plans: rather than a project plan with 300 tasks, I prefer to have a high level plan (usually in the form of an Excel Gantt chart) with max 20 tasks, and then the big ones can have a sub plan behind them e.g. the high level plan might have "Refurbish building" and then behind that is a plan for how it will be done. If each of the 20 high level tasks had another 20 behind them you could manage 400 tasks but still be able to see each part of it clearly with your eye, and therefore understand it. Project Management is about taking on challenges every day and a good project manager should be skillful enough to overcome these challenges. Sometime, I wonder why English dictionary does not mention 'project management' as a synonym for 'challenge'. Jokes apart, in my opinion #1 challenge has to be the 'miscommunication, incorrect communication, and subsequent mis-understanding'. I am sure you would have heard about 'Chinese whisper', wherein first person gives a message to the second person in the queue; who passes it to the next person and it goes on till the last person receives the message. You would know that the message is completely distorted by the time last person receives it - original message is completely lost. In projects, same thing happens but on a much larger scale. In projects, generally everyone is free to communicate with everyone else. People talk freely, sometime without knowing all the facts. And the incorrect information just flows. This leads to lot of miscommunication and misunderstanding. Much time is wasted in clarifying the right information and rectifying the mistakes. The bigger the project, more grave is the problem. At the end of the day a PM is responsible for the project and for the project communications. But the PM does not control all the stakeholders and how do they communicate with each other. Resolution: I plan upfront and implement some basic communication protocols. I also constantly engage with my stakeholders and clarify their doubt lest they receive (incorrect) information from some other source. Lastly I try to keep the documentation and reports updated. A good project manager should embrace the challenges and pro-actively overcome them. The top challenge faced by project managers is managing expectations. There are so many conflicting opinions on projects, especially about what might end up being delivered. Resolution: Work with stakeholders to really understand what they want from a project and to give them clear information all throughout the project. It's also important to acknowledge that opinions change throughout the project. While someone might have a particular expectation at the beginning of a project, that could change. Stay close to the team and stakeholders and continue to engage, and manage expectations throughout, even when they are changing. The #1 challenge for a project manager is stakeholder management. PMs usually underestimate its impact on a project. It becomes the main reason of project failure. You need stakeholders to discover goals of a project. You need stakeholders to identify all expectations, requirements, and scope. They will help you to find solutions. You will need support from some of them. Some stakeholders will be impeding your project. You do need to identify all the key stakeholders. It is difficult because they go far beyond people on the project. Quite often there are people in power and with authority. They have some personal interest in your project's success or failure. On the other hand, working with stakeholders means getting into conflicts all the time. So, it requires solid skills in resolving these conflicts. It is something that separates excellent PMs from the crowd. Resolution: It is a whole knowledge area. 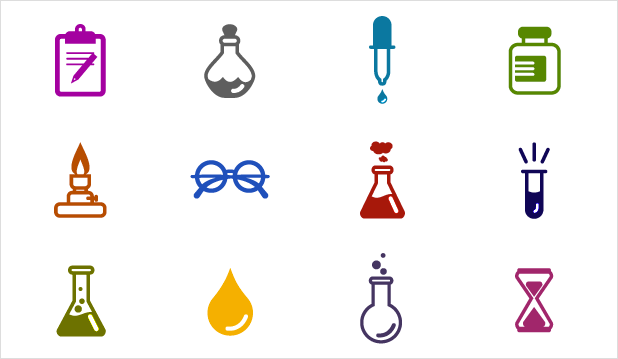 You need to learn how to identify stakeholders, prioritize them, and build their engagement. It is something that you cannot get from a book. You need to work with real people. They are different. Sometimes they don’t act professionally. Many of them have a higher status, role, authority, etc. A Project Manager has to navigate smartly to make them all work together. As long as an organization is fully aware of these threats and deals with them appropriately, they can easily be tackled. The benefits of using project management are much more than the challenges facing the project people. Project management isn’t as simple as it seems to be – it’s much more complicated than it looks like. Project managers need the skills to manage it all, which takes time, patience and perseverance. It requires them to constantly analyze the challenges and failures and implement the lessons learned from them. It requires them to have the most befitting project management tools, complying with their company’s needs. 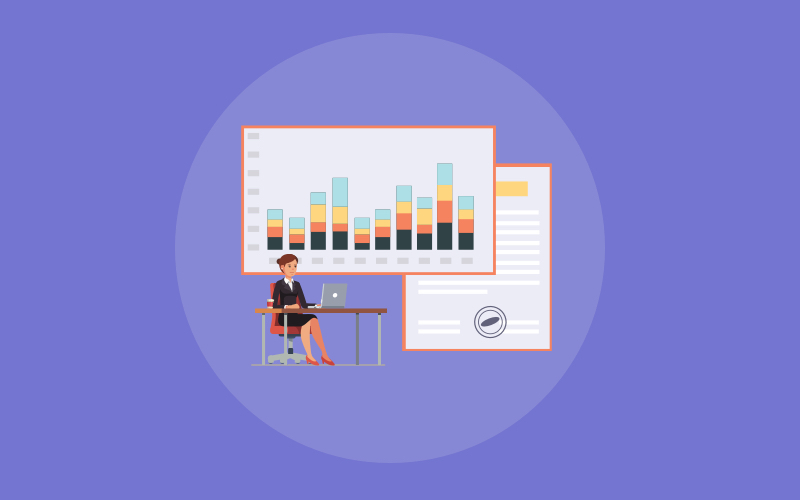 When each challenge is focused upon and sorted out even before starting the project, that’s when you’d be able to helm project management successfully.